6 quick bathroom makeovers that cost NO money! Bathrooms can be so difficult to design. They were invented solely as a functional space, but as our species has developed and we've acquired taste in interior design, such notions have changed. 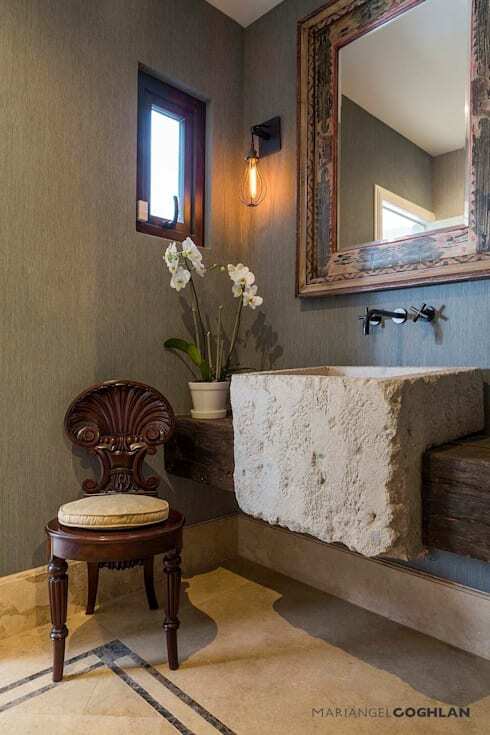 Nowadays, we like our bathrooms to have just as much style as the rest of our home. But what if you're on a budget? Or just can't justify spending any money at all to reinvent your bathroom? Look no further! That's why we're here! We at homify love helping you out with cheap and easy ways to modify your home, but today we're taking it a step further. That's right–all of the suggestions we're about to give you won't cost you a penny. So if we've piqued your interest, keep reading! Bathroom decoration doesn't have to be expensive or difficult. If you have extra family photos or a piece of artwork you're just not sure where to hang, try the bathroom! A painting can change a dull, monochrome space into a minimalist masterpiece with just one hammer and nail. Family photos, on the other hand, add a touch of homeyness and comfort to the bathroom. 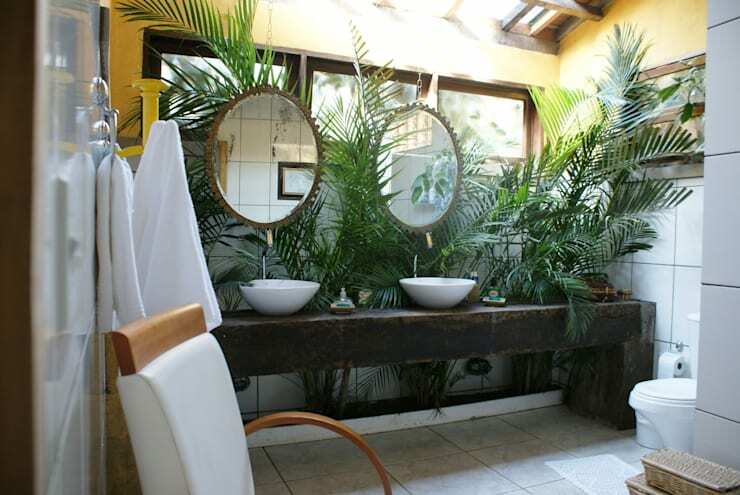 Any bathroom would benefit greatly from some plant life. In the smallest room of the home, usually with the smallest windows, ventilation can be a problem. But house plants (especially house plants that help you breathe), will add more oxygen to the space, and also spruce it up with fresh, lush greenery and a soft, beautiful scent. So go ahead, grab those petunias from the hallway and give your bathroom a little more life! Changing the lighting is a great way to give your bathroom a new look without having to spend a dime. If you have multiple ceiling lights, or if you're lucky enough to have a dimmer switch, consider placing higher or softer watt bulbs to change the mood. You can also use different coloured glass bulbs, like red or blue, for an extra retro feel. If you have only one light source, though, like most of us, play with the idea of adding a small table lamp, or if your floor space allows, a thin, tall floor lamp. Make sure you match the shade with your interior design scheme, though! If you want to give your bathroom a makeover while simultaneously ridding the room of negative energy, then Feng Shui-ing your space is exactly what you need! 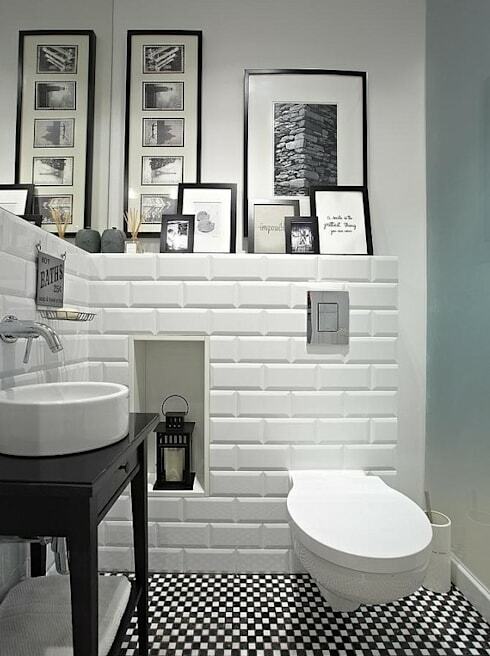 Don't let your bathroom get to the point where there are too many things and not enough space to hold them. Rearrange any furniture you have to create a more open floor, and get rid of all of the things that just don't need to be in there. For example, this bathroom has a few drying racks. 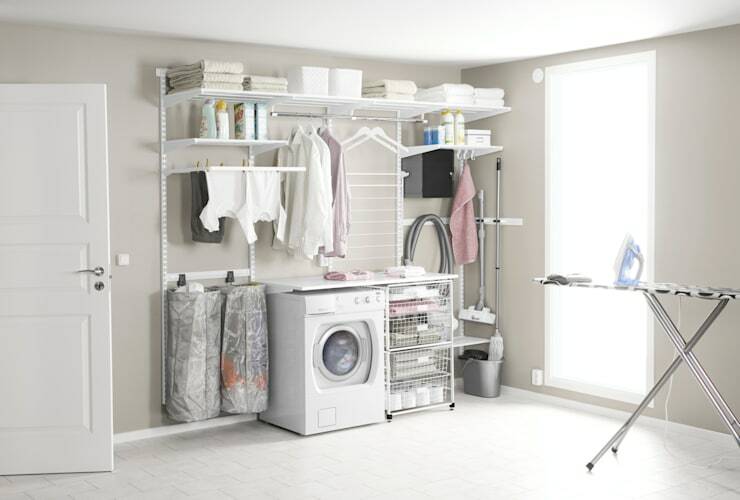 Sure, it's practical if you have a large bathroom and don't mind having a bunch of things piled in one corner, but those drying racks will look just as good as a temporary setup in the corner of your bedroom, where there's abundant space. Interested in this sentiment for other areas of the home? You can try to Feng Shui your kitchen and let us know how it goes! It's amazing how different a space can appear with the addition or subtraction of furniture. Something as simple as an ottoman can change the entire atmosphere. It will give you a nice place to sit and do your makeup, and it's also great if you want to hide a piece of storage equipment underneath. Similarly, removing that stool that's perhaps just a bit too big for the bathroom will give you more floor space, and you won't have to worry about tripping over it anymore. The last suggestion we have for you is really head-turning. A lot of homeowners don't realize the benefits of adding just a few extra mirrors to different spaces, and the bathroom is no exception. 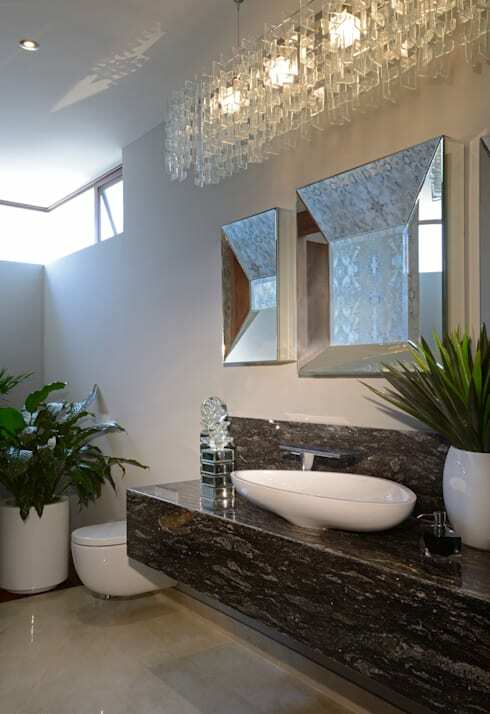 Extra mirrors in the bathroom give an exciting new look— not only does it accentuate any interior design scheme you have employed, it also reflects all light sources, making your bathroom brighter and even appear larger. Now that's worth investing in! 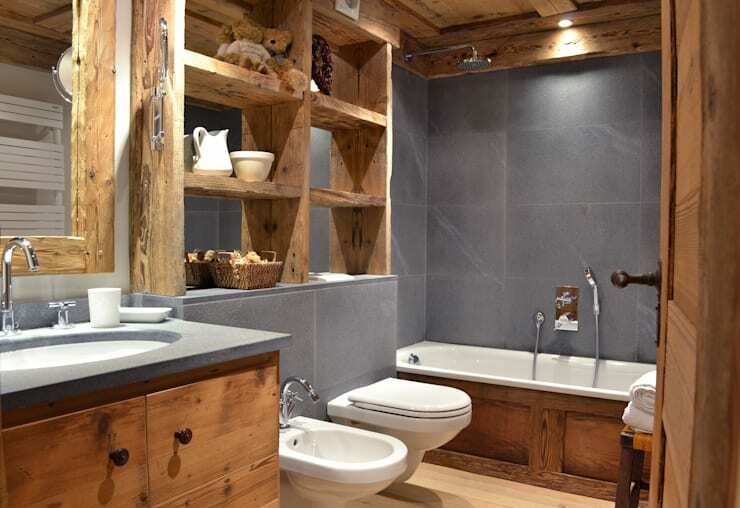 If you liked this article, you'll love: Seven of the smallest bathrooms you will ever see! Which one of these suggestions are you going to use? We'd love to hear from you below!